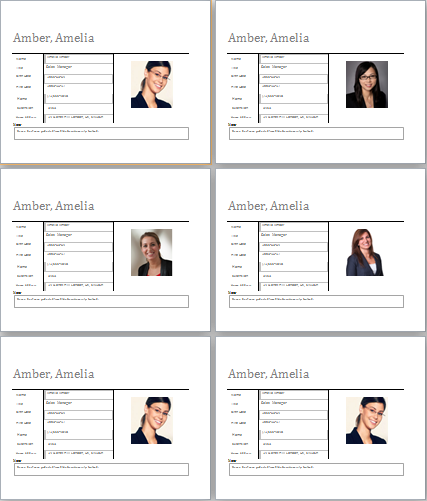 What is Employee Profile Template? The Employee Profile Template is a staff profile having all the details of the staff members working in one’s organization, company or institute. It includes sufficient crucial details about the employee. HR department would find it to be the most beneficial one to have the employee profile documents in order to keep the track of the staff which is contributing their services in their organization. Taking the data of the employee profile and recording it properly really matters a lot for the companies. The demographic information is sure of keen importance. Hence, in every employee profile sheet, it is given prime importance. It includes all the basic information such as name, age, gender etc of the employee. The employee profile template also has the slot for the blood group. So, in case of any emergency or accident, this information proves to be the most helpful one for the blood donation purpose. The educational background starting from the schooling till the last degree achieved by the employee in mentioned in the employee profile sheet. The years of passing and the marks/percentage gained are mentioned too. The employees have to fill it out to provide to let the company know about their qualification. Although it is a time-consuming process, fulfilling all the details are necessary. Besides the educational background, the company would get to know about the skills of the employee working in their organization through the option of skills of employee mentioned on our employee profile template. Download the template by simply clicking on the button given below and get the marvelous benefit from it. → Word file format: Fill out all the fields mentioned in the template. 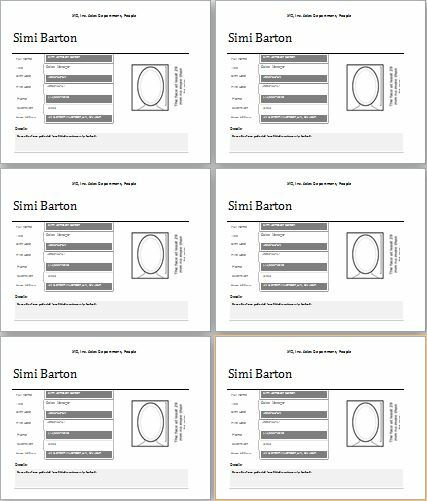 → Instantly printable: Take the print after filling the mandatory details in the template. → Blank sample: It is meant to be used when required. → Fully customizable: Edit it the way you want by adding the fields you find necessary to know about your employees.